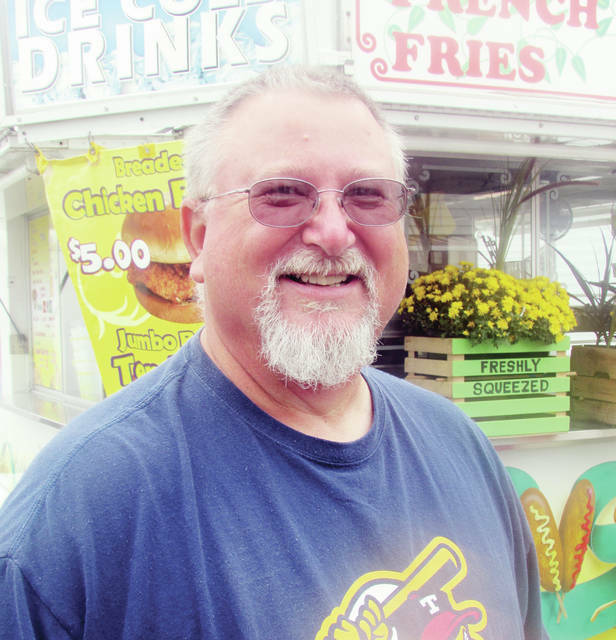 David Fulton of Swanton has attended the Fulton County Fair since he was a kid. Elizabeth Hinde of Blissfield, Mich., with her children, from left, Violet, 12, Vera, 8, and 2-year-old Victoria. 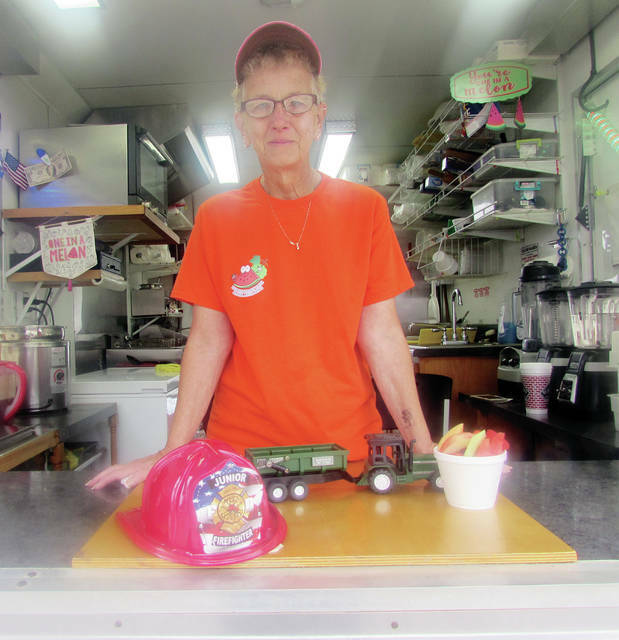 Gwen Zulch of Bowling Green set up shop with her deli and fresh fruit booth. 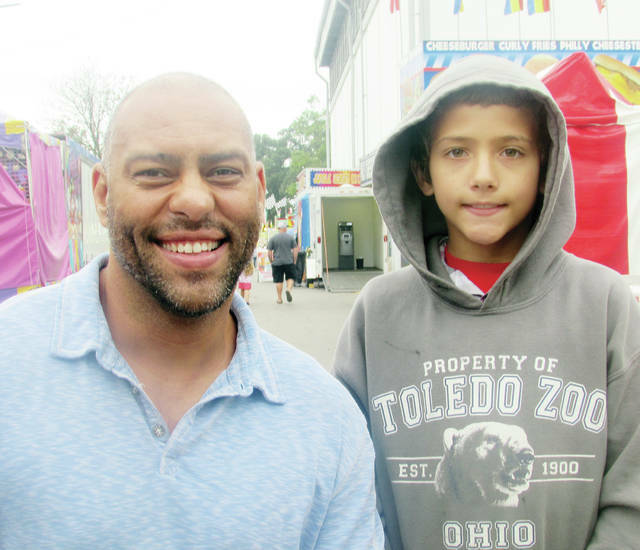 Jason Byrd of Swanton and his son, Jason II, like the fair food and the tractor displays. David Fulton has been coming to the Fulton County Fair since he was a kid. There are lots of reasons the Swanton resident is drawn back year after year, not the least of which is fair food. He admits to cravings for the barbecued chicken, onion rings, and milkshakes. But he also confesses to an interest in people watching. “And we run into friends we haven’t seen for awhile,” Fulton said. He was among the thousands of people from points far and wide who braved the crowds and stifling heat to attend this year’s annual end-of-season festivities. The Fulton County Fair is a tradition for many, a last hurrah during the waning summer days. “It’s kind of like a thing you’ve got to do,” said Jason Byrd, another Swanton resident. He came with his son, 10-year-old Jason Byrd II, and listed the food and tractor displays as two of his favorite attractions. “I prefer the antique tractors. It’s pretty entertaining,” he said. Randy and Grace Brehm of Fayette were admiring the agricultural exhibits. Randy said they and the livestock exhibits are what make the fair so appealing. For Grace, it’s the arts and crafts exhibits. This year, she won Best of Show in the fair’s antiques competition. The Brehms also attend their grandchildren’s animal shows. “There’s something for everyone here,” Randy said. As a member of the Franklin Blue Ribbon 4-H Club, 15-year-old Madison Baughman has won her share of ribbons in past animal competitions at the fair. This year, she showed Big Mama, her California breed rabbit. “I’m getting to know more about rabbits,” she said. But the fair to Madison isn’t just about competing. She loves eating fair food, and expresses a weakness for funnel cakes. Bowling Green resident Gwen Zulch has brought her Northwest Deli & Mr. Melon 2 booth to the fair the past 15 years. This year, she broke a record for sales that included 300 deli wraps, 1,000 fresh fruit smoothies, and at least 500 fruit cups. The fair’s most endearing quality for her this year? The children. “They’re kind, courteous, and they show a lot of respect for adults. This year, they really got to me. It puts tears in my eyes,” she said. After 46 years of traveling from venue to venue, Zulch sees no sign of stopping. “We’ll go to our grave doing this,” she said. 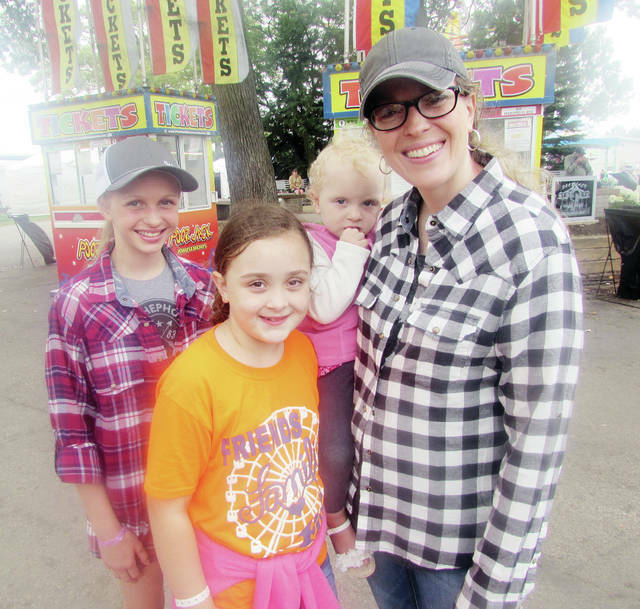 Elizabeth Hinde and clan, of Blissfield, Mich., have also made the Fulton County Fair a traditional stop. While she and her children highly rate the vanilla shakes and doughnuts sold each year, Hinde also gives a thumbs-up to the fair’s cleanliness. She said that’s not the case with every county fair. “They really keep this place up,” she said. She also gives high marks to the friendliness of the people. “They just go out of their way to welcome you and show off their nice fair,” Hinde said. https://www.swantonenterprise.com/wp-content/uploads/sites/23/2018/09/web1_David-Fulton.jpgDavid Fulton of Swanton has attended the Fulton County Fair since he was a kid. https://www.swantonenterprise.com/wp-content/uploads/sites/23/2018/09/web1_Elizabeth-Hinde.jpgElizabeth Hinde of Blissfield, Mich., with her children, from left, Violet, 12, Vera, 8, and 2-year-old Victoria. https://www.swantonenterprise.com/wp-content/uploads/sites/23/2018/09/web1_Gwen-Zulch.jpgGwen Zulch of Bowling Green set up shop with her deli and fresh fruit booth.